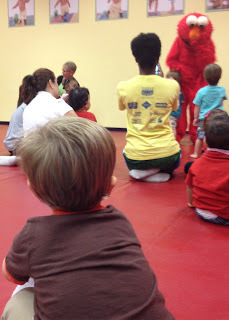 Here’s my son watching Elmo..
I’m sorry if I’m repeating my comment, but I just wanted to say that this mani is adorable. 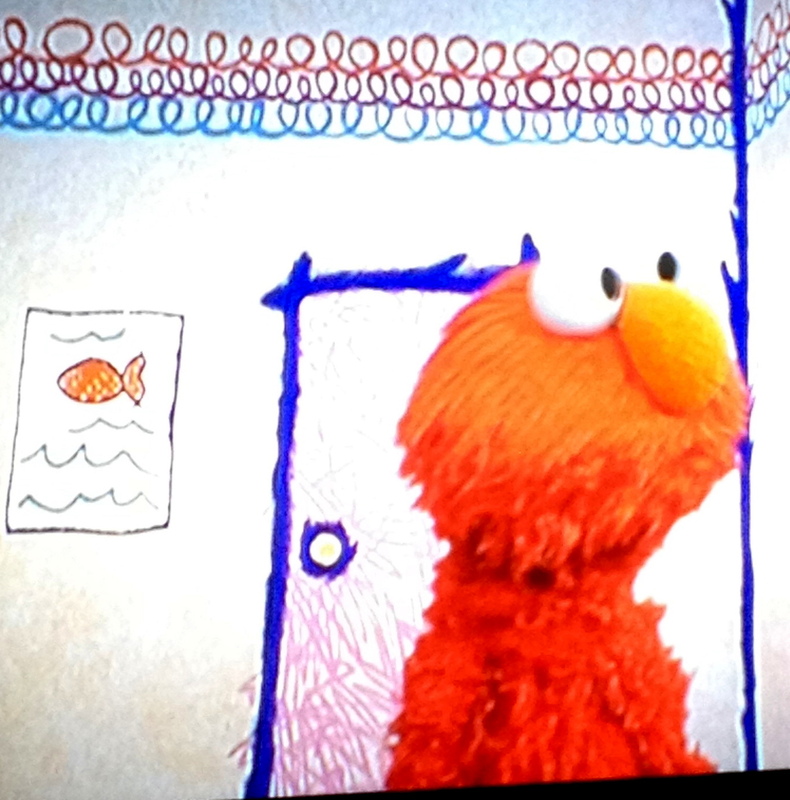 Elmo is cute and I absolutely LOVE you scribble finger tips. 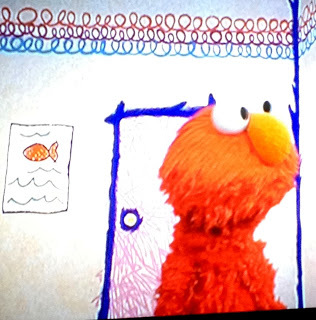 Oh my gosh, I love your scribble tips. 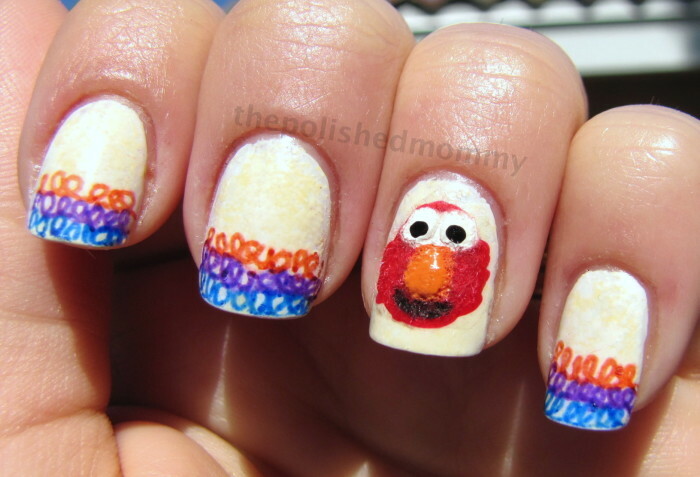 The Elmo is adorable, but those tips are PERFECT for that manicure. Aw! 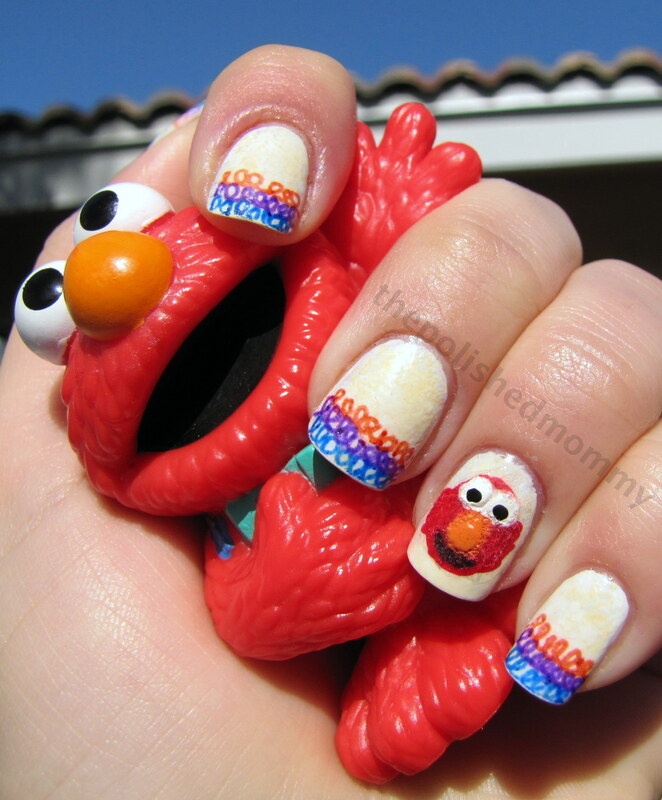 Super cute. Love the nails! Awwwwwwww! That’s seriously all I want to say!